Now’s your chance to upgrade your desk snacks and home pantry staples with locally-made ones. The Department of Tourism (DOT) gathered its accredited farm sites, selected travel agencies, and food exhibitors at this year’s Philippine Harvest. It’s a three-day trade fair, in line with DOT’s sustainable tourism development. “The overarching goal of our programs and projects is sustainable tourism as we champion the Filipino farmer and the country’s bountiful produce,” says Tourism Secretary Bernadette Romulo-Puyat in a statement. 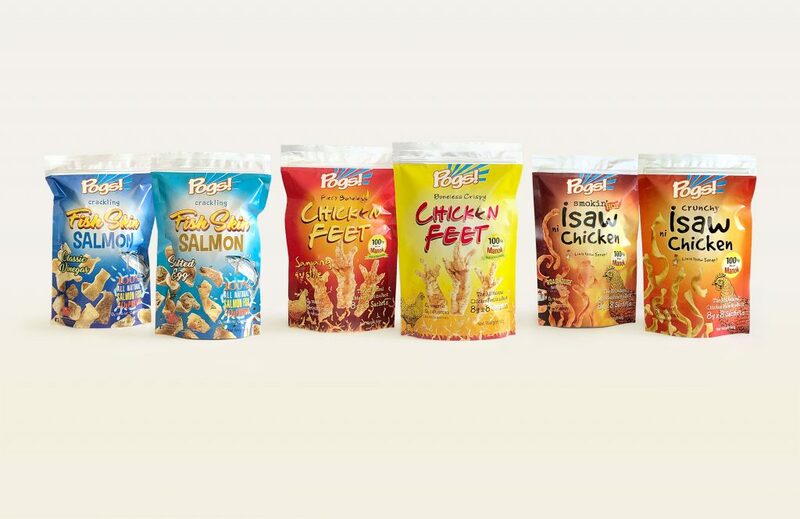 Keep an eye out for Pinoy street food snacks such as Pogs! crispy boneless chicken feet, crunchy isaw, and salmon fish skin. Alano Lees’ mushroom chicharon is also there, as well as craft beer brand Santiago Brewery among many others. Trade fair Filipino staples like kakanin, rice cookies, calamansi jams, fruit wines, dried seafood, heirloom rice, and chocolates are also available here. “We aim to develop sustainable farm tourism as a dependable source of income for Filipinos in line with the implementation of the Farm Tourism Development Act of 2016, which serves as one of our strategies for countryside development,” says Romulo-Puyat. 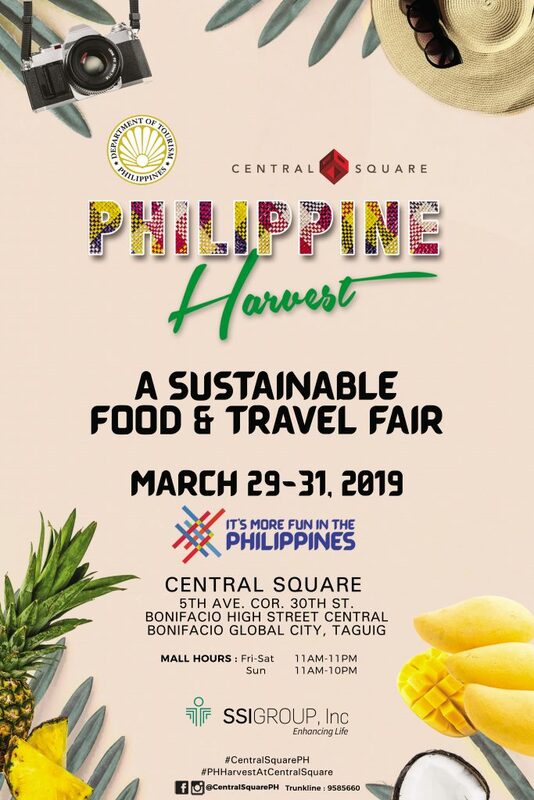 Philippine Harvest: A Sustainable Food and Travel Fair starts today and will last until Sunday, Mar. 31 at Central Square, Bonifacio Global City.